When companies consider allocating their marketing budgets, they usually think about which marketing tactics to invest in. While this is certainly important, internal growth is often left out of the equation. Does your marketing plan involve improving your branding, lead generation, or sales in the next year? Is your current marketing department prepared for what happens when you achieve those goals? If you are allocating your marketing budget to branding and other digital marketing tactics, you need to make sure your budget factors in the need for departmental growth. Before determining how to allocate your marketing budget, it’s a good idea to decide exactly how much to spend on marketing in the coming year. Your marketing budget will greatly depend on your marketing goals and current resources. On average, marketing expenses account for 7.3% of revenue. If your goals for the coming year include expanding your business in terms of total sales, moving into new markets, or expanding your product or service line, this will affect how much your budget needs to expand. In order to grow and see a positive ROI, you need to base your current marketing budget on the revenue you expect to see at the end of the year. That is why marketers expect their marketing budgets to increase by 7.5% in the next 12 months. Once you determine your entire marketing budget, how much of that budget should go to departmental growth versus branding and demand generation? What are your annual marketing goals? Set clear, measurable goals for the next year that include KPIs and milestones for how and when you will measure success. Goals could include building brand awareness, increasing lead generation or improving customer retention. If any of these goals involve growth, you must also include the goal of growing your marketing team and resources. What tactics are likely to help you reach your goals? Evaluate your current marketing tactics. How are you currently performing with the tactics you are using? Allocate your marketing budget towards the most successful tactics, remove any marketing activities that aren’t showing a positive ROI or won’t help with your new goals, and plan to experiment with new marketing strategies that better fit your objectives. What resources do you need to realize your marketing goals? Once you determine which marketing tactics will best help you reach your goals, decide what you will need to carry these tactics out effectively. This may include content, software, employees, and expertise. Which of these resources can you outsource and which should you develop internally? When it comes to setting goals for your team and choosing the right digital marketing tactics, there are many helpful guides available to you. When most people talk about allocating your marketing budget, they usually focus only on the marketing tactics side of things—the channels where you should devote your budget. But how do you budget for internal growth? Typically, companies don’t talk about departmental growth as part of the marketing budget, but it is an essential factor to consider if you plan to grow in the next year. Is departmental growth part of your goals? If so, there should be adequate budget allocated to making that happen. Currently, only 3.9% of a marketing budget is devoted to training and development. For companies looking to grow and experiment with new marketing tactics, this number is extremely low. Make sure you are investing in your current employees and expanding their marketing skills. The software and equipment required for certain marketing tactics can be a significant investment for your business. Marketing software such as HubSpot can help reduce the need for additional employees through marketing automation and content management. Project management software such as Asana will also be critical as your team grows. For content creation such as video marketing, it may make more sense to hire a video marketing agency rather than invest in the equipment required to do video correctly. Marketers plan to increase their marketing teams by an average of 6.4% and the amount of marketing activities they outsource by 5.5% in the next year. This will be the most critical decision you make in regards to budgeting your internal growth. If you plan to increase content marketing in the next year, it may be more cost effective to work with a marketing agency or freelance writer before hiring a full-time content creator. You must also consider what expertise your marketing tactics will require. If you lack expertise in certain marketing channels, look for new employees that have experience in these areas or outsource to a marketing agency. What are your marketing goals for the next year? While branding and lead generation are definitely important, make sure you aren’t ignoring the goal of growing your marketing department. Failing to include the costs of this growth when allocating your marketing budget could prevent you from keeping up with the increasing marketing demands of your business and limit your ability to grow in the future. Is your marketing department ready for the next year? 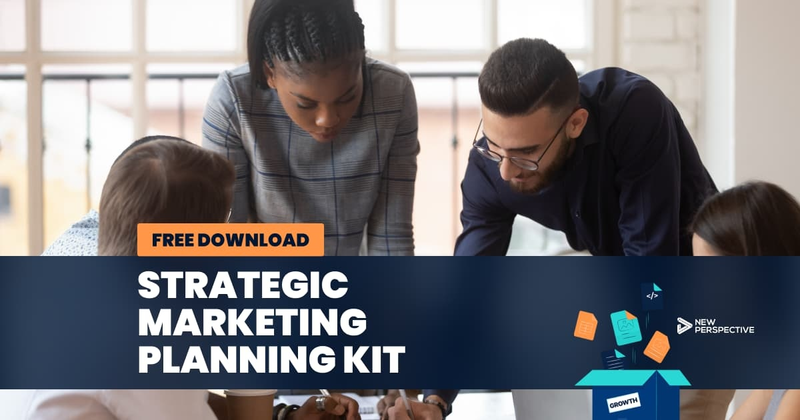 Download your free strategic marketing planning kit — it includes the tools and templates that we use to work on our own strategic planning.